Once in a while judges each of them find their favorites and that journey of seeing the judges root for them is great to see. 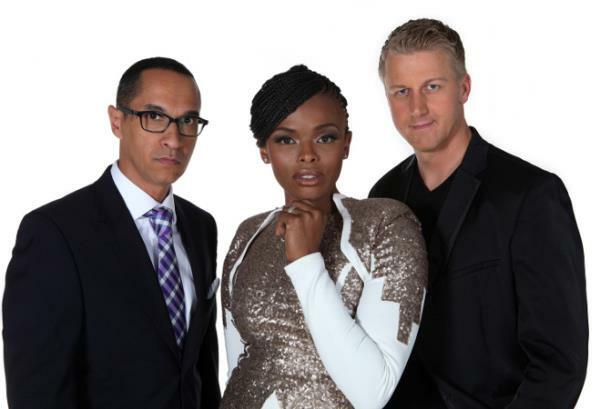 Idols SA is in it's 10th season, and when it started this past Sunday 13 July we got to see some new talents and some comic wooden mics. 1) You get to see Randal Abrahams smiling for a change. If the first episode and highlights of forthcoming episodes is to go by, Randal has finally realised that his 'Mr Serious' isn't working anymore and he must try a new trick. 2) Unathi and her tears, and facial expressions- people may hate it when she cries or laughs but it's always good to watch. 3) The contestants who can't sing but believe they can sing. Seeing these people always makes for good TV. Especially when they get angry when the judges don't give them the golden ticket. 4) Remixes of songs. Remember the Killing Me Softly rendition on Idols that went viral. Well there is more of those ear piercing and jaw dropping ones every season, including this one. 5) When we get those gems. 6) Seeing one's dream come true. This is one of the best reasons to watch the show to see someone grow from being an amateur to a proffesional performer in front of us.